louisiana driveway gates Archives - Custom Driveway Gates - Iron Steel & Aluminum - JDR Metal Art - FREE Standard Shipping! 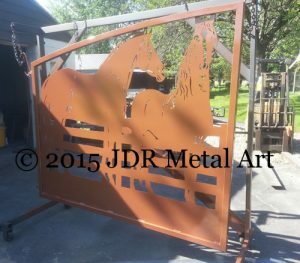 These plasma cut gates are designed and fabricated by JDR Metal Art and are being shipped to New Orleans, Louisiana. 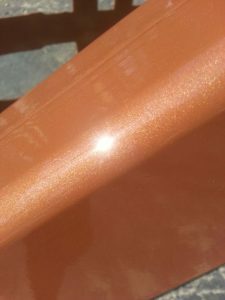 Besides stunning plasma cut artwork, these driveway gates feature a fabulous “wet copper lipstick” powder coated finish laid on a foundation of corrosion resistant zinc rich primer and topped off with with a clear gloss top coat for added durability and fade resistance. We are extremely happy with this color (chosen by the client) and feel that the gates “look like a bright penny”! We are shipping these gates, hinges & posts via motor freight to Louisiana where they will be installed for our client’s residential entryway. There they will add security and beauty for many years to come! 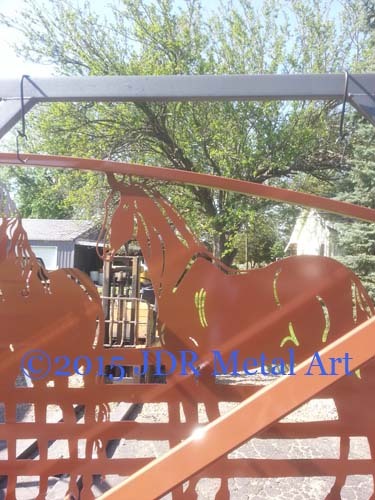 We use a minimum of 1/8″ thickness for all our metal art driveway gate silhouettes and gate frames. 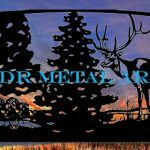 Each of our plasma cut metal art gates are specifically engineered to exacting standards to ensure an extremely rugged finished product that will stand the test of time. We fabricate all of our arched frames and silhouettes in-house. 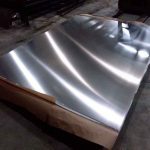 Our steel is sourced from mills that produce high quality American-made steel. The hinges are of the sealed bearing variety…no periodic greasing is needed! Each gate post is prefabricated with two hinges rated to hold a minimum of 1000 lbs per post…more than double the weight of each of our plasma cut gate panels! 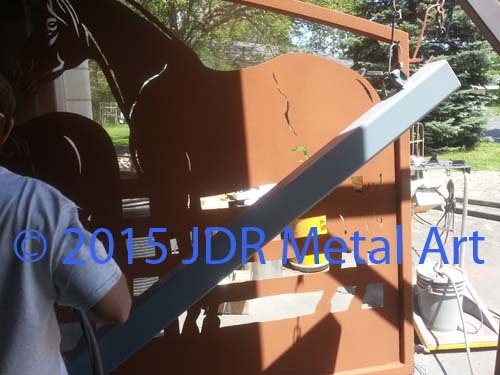 Here at JDR Metal Art we provide full-scale plasma cut gate design solutions for anyone seeking beautiful plasma cut gates. 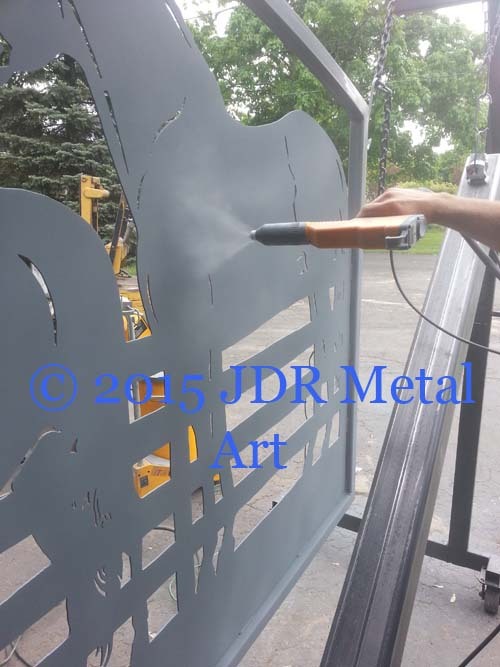 All of our plasma cut gates are designed to meet our clients’ needs. We work with gate, fence, and general contractors, private residential customers, resorts, farms, estates, golf clubs, subdivisions, homeowners’ associations, ranches, lodges, and more. We work hand in hand with our customers to learn exactly what they want in the finished product. Then we create what is necessary to meet and/or exceed their expectations. We are also able to provide background information and services in coordination with needs such as gate openers, security, and more! These Louisiana driveway gates are shown fresh out of the powder coat oven before we palletized and shipped them from our custom gate shop in Columbus, Ohio to just outside Baton Rouge, Louisiana via motor freight. We modified this gate design from and existing one to suit our client’s driveway entrance. Each gate panel was made 9’6″ long and will be hung from posts sunk deep into the Louisiana ground for a dual swing entrance gate. Custom plasma cut gate lettering identifies our client’s estate and the year it was established. We also added a pair of ducks to each of the arched top gates and a wild boar on the left side. All the different design aspects were both laid out and plasma cut entirely by hand. We were able to get a shipping rate of $320 for this client shipping via SAIA Motor Freight with a 2 day transit time. He had the gates shipped to his business where he unloaded them with a forklift. The entire package weighed about 600 lbs with each gate weighing about 250lbs and the packing being the rest of the weight. We palletize the gates in a way they can also easily be taken off the trailer by hand one gate at a time with the help of 3-4 people. Residential delivery with liftgate and local freight terminal dock pickup options are also available. Get Started on a Custom Design Today! You can contact us today to get started on your gate design process. Whether it’s Louisiana driveway gates or driveway gates for just about anywhere else we can quickly get you a brand new fully custom design or you can simply modify one of our existing designs to meet your needs. We specialize in equine farm & ranch gates, iron tree gate designs, and wildlife themed gates and are always looking for something new to create!